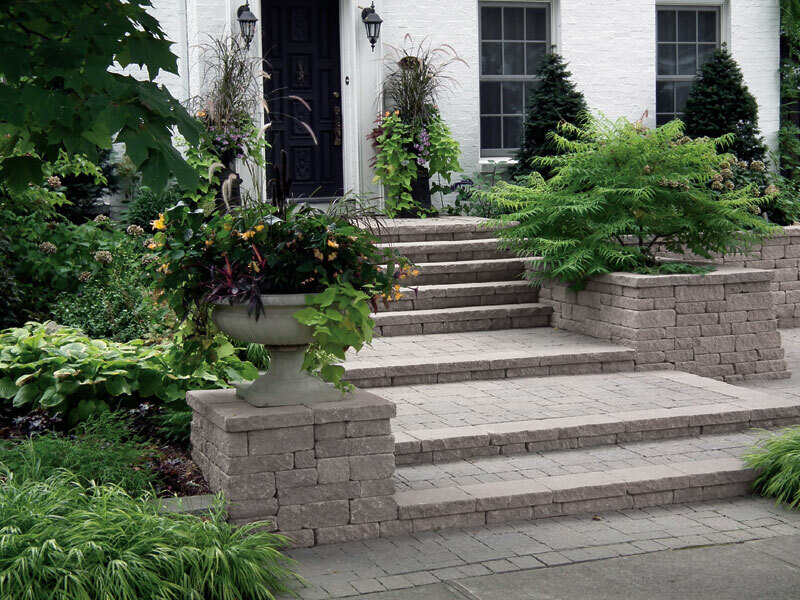 With its rough cut appearance and solid construction, Oaks Fieldstone products bring life to creative features such as garden walls, planters, steps or entrance pillars in either random or structured patterns. 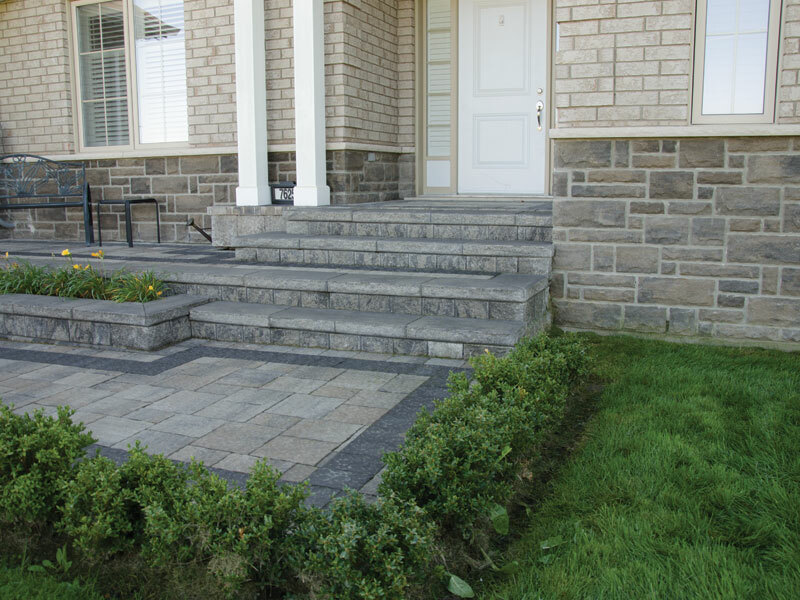 Rugged Fieldstone heightens the look of any design and its built-in rear retention lip allows for greater sustainability. 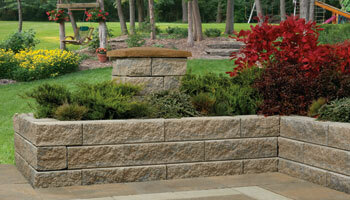 Tumbled units are pre-split, available in 3.54” and 5.31” heights. 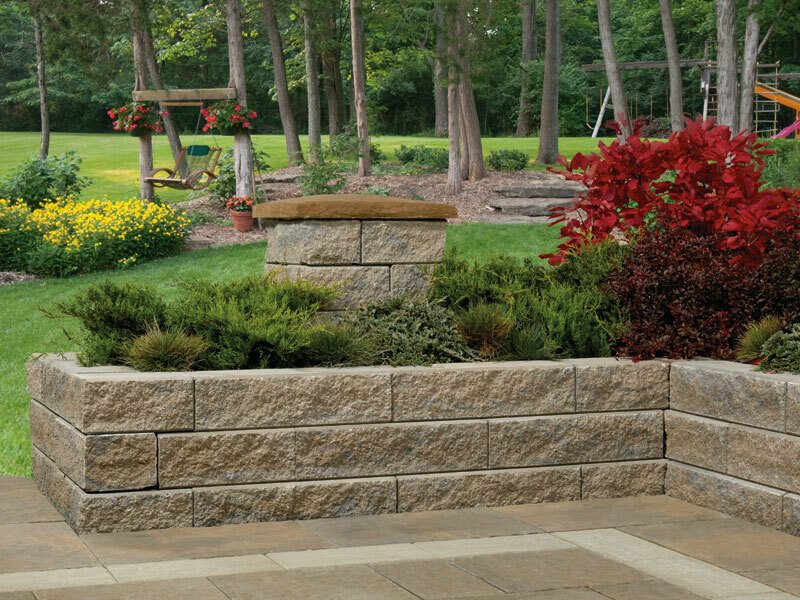 Use units as a single stone height wall or combine 3.54” and 5.31” together for simple, cost effective construction options. 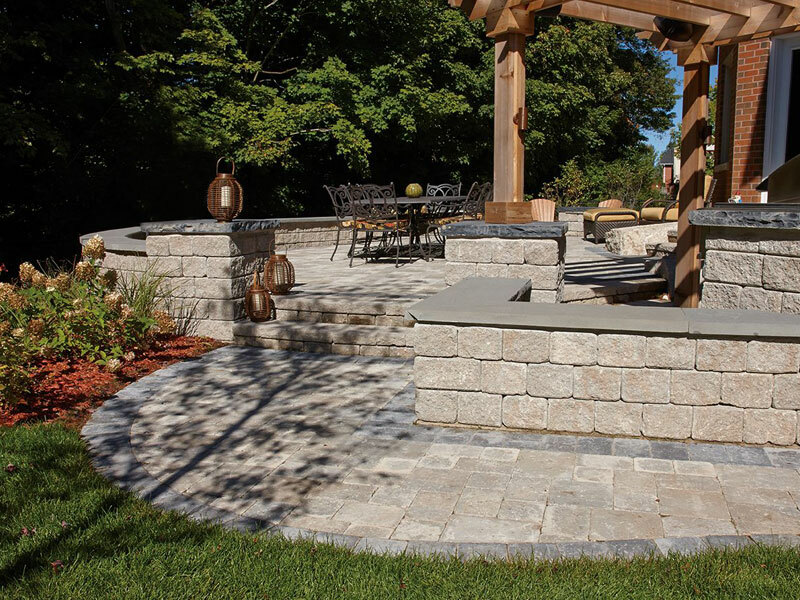 With the traditional look of stone and outstanding functionality for both tight and relaxed curves, Oaks Gardenia wall blocks offer endless design options. 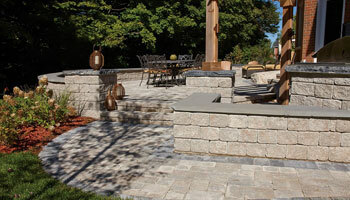 Subtle earth tones accentuate landscape projects of any size or scope. 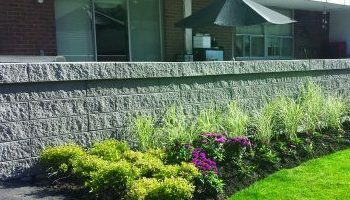 Units are pre-split which allow for greater ease of installation of garden walls, tree surrounds or edging. 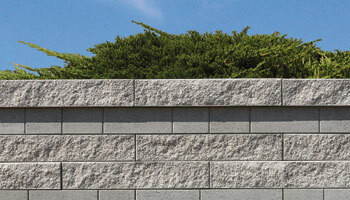 Gardenia blocks boast a double-wing feature which offers greater ease of curved wall construction. STOCKED ITEM. SOLD IN FULL PALLETS OR BY THE UNIT. 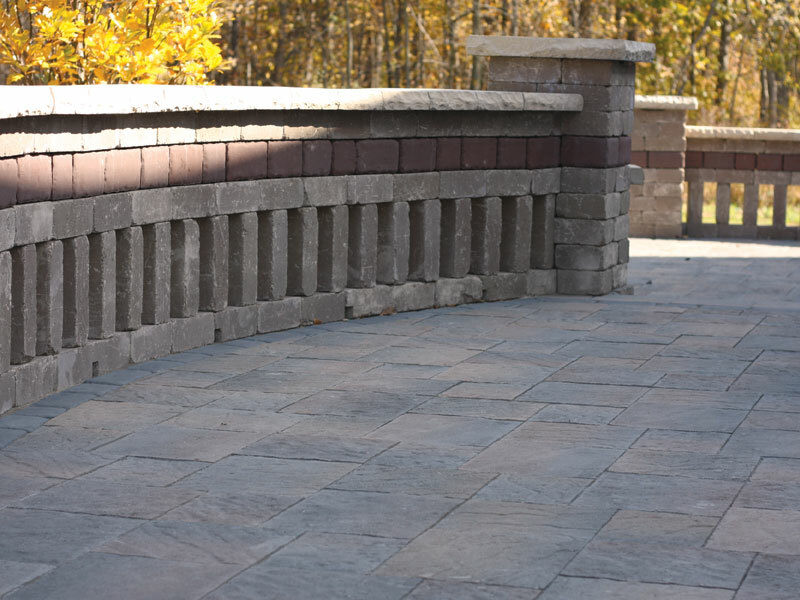 Conjuring a feeling of days gone by, Oaks Laredo is a two block system which makes the construction of spectacular garden walls, pillars, and driveway edging convenient and hassle-free. Laredo allows installation in either linear or random patterns for walls or sweeping curved walls. Concrete adhesive provides the ultimate in stability when used in conjunction with this product. Unequalled elegance brings Laredo to the fore. 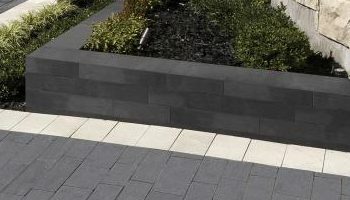 With a striking smooth surface, faintly beveled edges and a palette of subtly-blended colors, the sleek Modan wall system is the perfect choice for contemporary outdoor designs. The four linear-proportioned wall blocks are packaged together as a combo bundle, while the 440 Unit is also packaged separately making it ideal to use as accent banding for pillars, or as and independent system. Where modern sensibility and vintage style combine, you’ll find Oaks Modeco wall blocks. 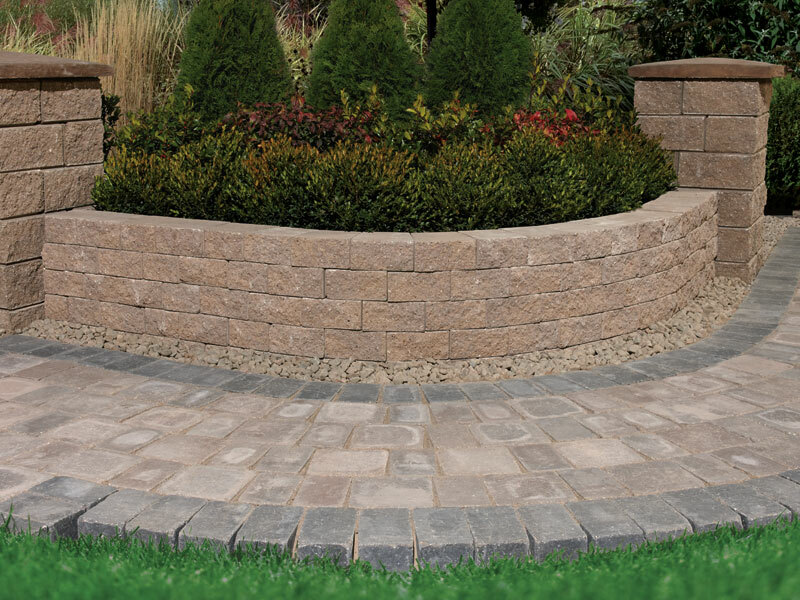 Lightweight and attractive, these blocks make installation a pleasure as they create garden walls, tree surrounds and edging instead of eding. 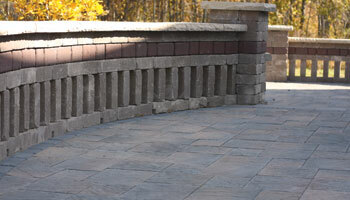 The rough-hewn blocks come pre-split on both sides, saving time and effort. Modeco delivers on the promise of worry-free appeal. Refined elegance is what defines Oaks Ortana. 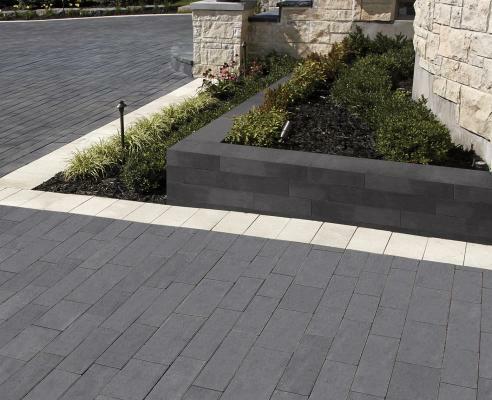 Available in a wide array of color combinations and textures that build interest, Ortana creates unsurpassed charm in single and double-sided walls, driveway borders, steps, and embankments. Its exclusive split-tongue design and hand notches allow for vertical or set back installation, saving both times and cost. Use 90° corner units to easily create complementing pillars. *STANDARD UNIT IS A SPECIAL ORDER ITEM. SOLD IN FULL PALLETS ONLY. *MOUNTAIN AND SANDALWOOD ARE NON-STOCK COLORS. SOLD IN FULL PALLETS ONLY. 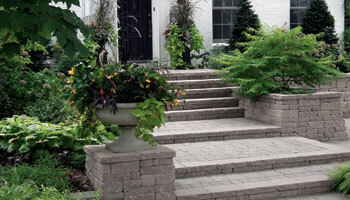 Oaks Ortana Plus wall blocks offer a vintage, weathered option. With a rear tongue removal feature, these blocks allow for a consistent appearance in both vertical walls and corner units. 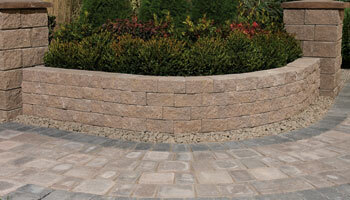 Ortana Plus can be easily converted for designs that feature double-sided walls, seat walls, and driveway borders. This durable product offers limitless applications as timeless as they are appealing. 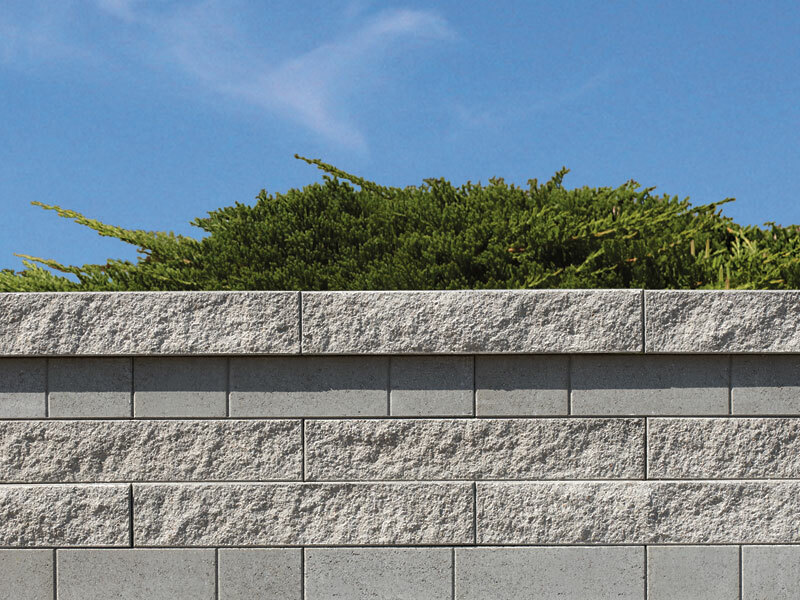 When demanding projects call for a complete retaining wall system, Proterra™’s M-lock technology from Oaks ensures a stable structure, even in a true vertical installation. 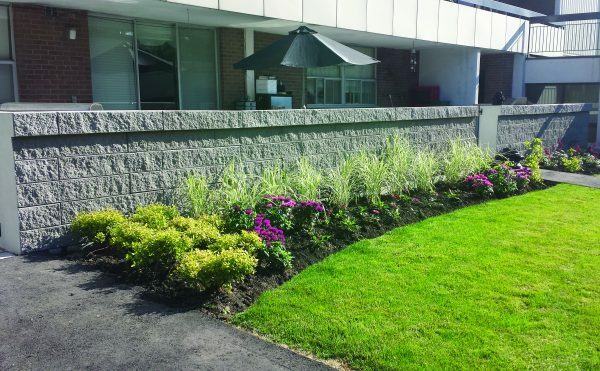 This engineered retaining wall incorporates a reversible split/smooth texture for increased design options, as well as false joints on the smooth surface for added patterning and aesthetic appeal. Oaks even included built-in cutting guides for half-block and 45° corners. 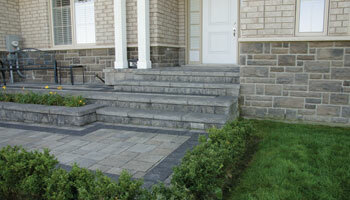 The coping-step unit is stocked in colors as an attractive, stand-alone system. COLORED WALL (GREYFIELD, TIMBERWOOD) UNITS AVAILABLE AS A CUSTOM ORDER. MINIMUM QUANTITIES APPLY.